LONDON--(BUSINESS WIRE)--53 billion illegal cigarettes were consumed in the European Union (EU) in 2015, which exceeds the legal market volume of Spain1, according to a new report published today by KPMG. Accounting for 1 in every 10 cigarettes consumed, this criminal activity costs EU governments up to EUR 11.3 billion in lost tax revenues. This annual study investigates the levels and drivers of counterfeit, contraband and Illicit Whites2 in the 28 EU countries, as well as Switzerland and Norway. While the illegal cigarette market in the EU accounts for around 10% of total consumption, this volume has declined marginally compared to 2014 as a result of several factors including increased activities to fight illegal trade and improved economic conditions. The industry believes their strict supply chain controls and shared intelligence, combined with authorities’ law enforcement, has resulted in a decline of around 20% in the illegal flow originating from within the EU. This means that 88% of illegal cigarettes now come from non-EU countries. A key trend identified in the KPMG report is the growing proportion of counterfeit and Illicit White brand flows compared to previous years. Illicit Whites accounted for over one third of all illegal cigarettes, whilst counterfeit grew to 4.7 billion cigarettes. The largest portion of Illicit Whites – 5.3 billion cigarettes – were in packs with Belarusian labelling. The industry believes the changing mix of source countries and the increasing number of Illicit White brands demonstrates the adaptability of criminals who profit from the illegal tobacco market. If the illegal volume in the EU had been consumed legally, an additional tax revenue of EUR 11.3 billion would have been raised. The industry believes the 2015 report results indicate that the increased joint efforts of governments, law enforcement agencies, manufacturers, and retailers contribute to efficiently addressing the illegal cigarette flows in EU. As criminals increasingly concentrate on illegal products such as Illicit Whites and shift to new source countries outside the EU, it is clear that efforts to fight illegal trade must be maintained in order to disrupt criminal networks. British American Tobacco (BAT), Imperial Tobacco (Imperial), Japan Tobacco International (JTI) and Philip Morris International (PMI) remain committed to working together with authorities across the world and continue to invest in combating this problem. KPMG has conducted this study every year since 2006. Since 2013, the study has been commissioned by all four major tobacco manufacturers –BAT, Imperial, JTI and PMI. The study is the only comprehensive annual measurement of the black market for cigarettes in the EU. Access to a wider set of data sources, as well as methodology improvements in line with feedback received from external stakeholders, have allowed KPMG to further refine the completeness of the analysis over the years. The study’s methodology is presented in detail in the report. The OECD considers the methodology of KPMG LLP the “most authoritative assessment of the level of counterfeit and contraband cigarettes” in the EU. KPMG LLP recognises the wider public policy context within which governments decide regulatory and fiscal changes for the tobacco industry, and that the analysis in this report only considers one aspect. KPMG LLP expresses herein no view, nor makes any recommendation, in relation to future policy for the industry in this regard. British American Tobacco is a global tobacco Group with brands sold in more than 200 markets. 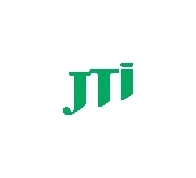 JTI, a member of the Japan Tobacco Group of Companies, is a leading international tobacco manufacturer. It markets global brands such as Winston, Camel, Mevius and LD. JTI is a global player in the e-cigarette market with E-Lites and Logic, and has been present in the heated tobacco sector with Ploom since 2011. Headquartered in Geneva, Switzerland, and with operations in more than 120 countries, JTI employs around 26,000 employees worldwide. Its core revenue in the fiscal year ended December 31, 2015, was USD 10.3 billion. For more information, visit www.jti.com. 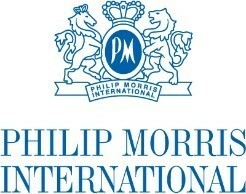 PMI is the world’s leading international tobacco company, with six of the world's top 15 international brands and products sold in more than 180 markets. In addition to the manufacture and sale of cigarettes, including Marlboro, the number one global cigarette brand, and other tobacco products, PMI is engaged in the development and commercialization of Reduced-Risk Products (“RRPs”). RRPs is the term PMI uses to refer to products with the potential to reduce individual risk and population harm in comparison to smoking cigarettes. Through multidisciplinary capabilities in product development, state-of-the-art facilities, and industry-leading scientific substantiation, PMI aims to provide an RRP portfolio that meets a broad spectrum of adult smoker preferences and rigorous regulatory requirements. For more information, see www.pmi.com and www.pmiscience.com. 1 Legal domestic sales volume in Spain is 47 billion cigarettes according to the Tobacco Commissioner. 2 ‘Illicit Whites’ - Cigarettes that are usually manufactured legally in one country/market but which the evidence suggests have been smuggled across borders during their transit to the destination market under review where they have limited or no legal distribution and are sold without payment of tax.